Editor’s note: The year-end construction value of permits stated in an earlier version of this story was corrected from $250 million to $225 million. 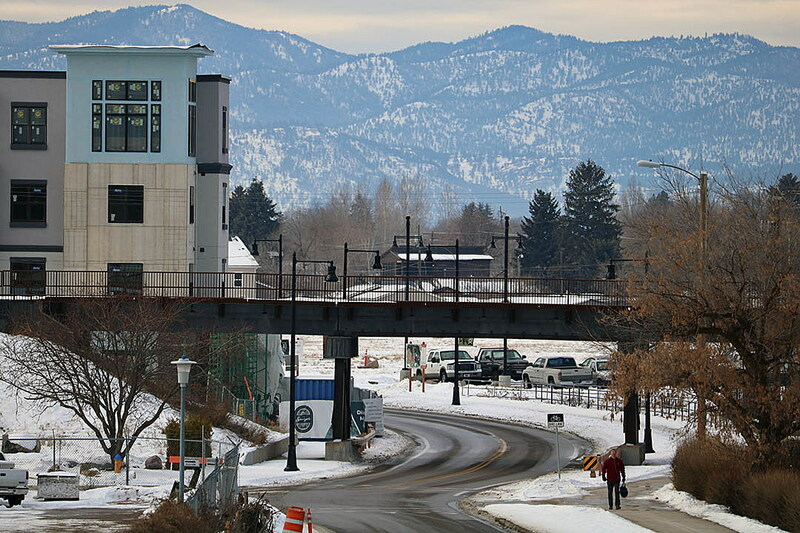 Permits for single-family homes in the city of Missoula increased in 2018 for the sixth consecutive year, though the number of permits issued for multifamily housing marked a precipitous drop. Development Services on Wednesday placed the finishing touches on last year’s development figures. All told, the city in 2018 issued permits with a construction value of roughly $225 million. While that was down from $277 million in 2017, it capped another solid year in Missoula. Seated in his office on Wednesday, Haynes considered last year’s tally. The Missoula Public Library emerged in 2018 as the single largest project by construction value at $28 million, followed by the remodel and renovation of Sentinel High School. Both projects were funded largely by taxpayers through a voter-approved bond. The new Stockman Bank project on Brooks Street topped the list for privately funded projects at $14.7 million, followed by an apartment project on Mullan Road at $13.7 million. The expansion and renovation of Albertsons on East Broadway checked in at $4 million. The Missoula Current will have a full breakdown of commercial projects permitted in 2018 and what’s on tap for 2019 on Thursday. On the housing front, Development Services permitted 463 dwelling units in 2018, down from 775 units in each of the past two years. The decrease was driven by fewer multifamily permits, which fell from 505 units in 2017 to just 181 last year. Haynes said the decrease stems from fewer large projects like those permitted in 2017, including the apartments on Mullan Road, the Roam student housing project downtown, and others in the Old Sawmill District. Haynes said such large projects don’t come along every year. While the number of multifamily permits fell, the number of single-family permits jumped for the sixth straight year. In 2013, the city permitted around 144 single-family homes while nearly 250 were permitted in 2018. That was up from 236 the year before. Construction in new subdivision phases will continue in 2019, and one large multifamily project on the North Side could go for a permit as well. That project, dubbed the Villagio, is estimated at $37 million and would include roughly 200 units. Haynes expects to see housing construction continue in the Old Sawmill District as well.